A peaceful uprising against president of Syria seven years ago has turned into a full-scale civil war. 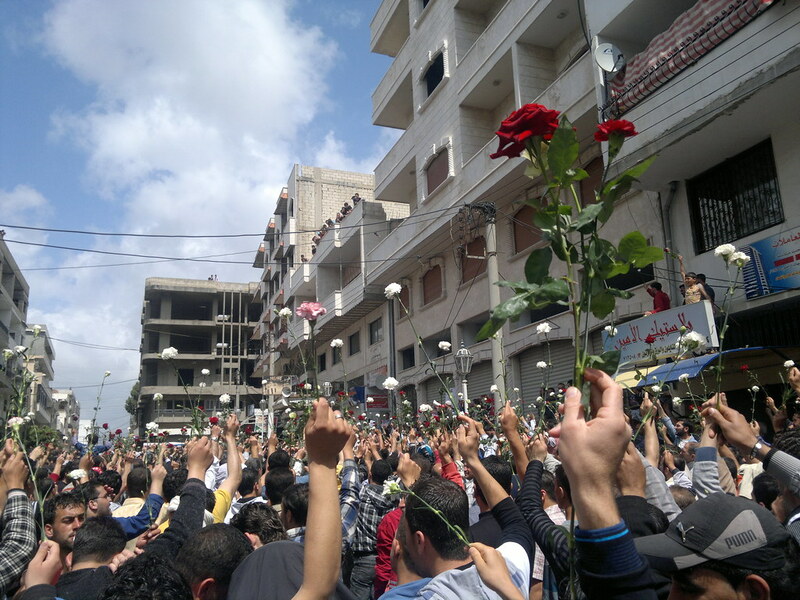 Protesters in Syria demanded the resignation of President Bashar al-Assad. The people demanded political and socioeconomic changes, fair election. The conflict has left more than 350,000 people dead, devastated cities and got other countries sucked into it. The Syrian conflict has created the most humanitarian crisis of our times. Half the country's pre-war population - more than 11 million people - have been killed or forced to flee their homes. Be the president an honest man, but not a malicious dictator, he would have understood that the times have changed, that he needs to make some concessions and give way before pressure. However he decided to follow all dictators and stick to a war with his people. As a result it turned out to be a disaster. Bashar al-Assad become a war criminal responsible for all consequences of the war times. It is impossible to understand why the United Nations didn't bring to trial this criminal. The Security Council of the UN should have long ago carried out a decision to bring Bashar al-Assad to the International Tribunal for justice. However Russia continuously protected Bashar by exercising (or abusing) their power of veto. This issue and the unlawful acts practiced on the world arena Putin's regime deserve the expulsion of Russia from the United Nations. The leaders of Russia and Iran are responsible for the death of civilians in Syria. As a result of help from dictatorships such as Russia and Iran the situation in Syria changed in favor of Bashar al-Assad. However it is not too late to reverse the course. The critics may deem this proposal as practically unworkable, that the U.N. is incapable of such actions. Then we can draw only a single conclusion that the United Nations is ineffective, that it can't implement its decisions and consequently is subject to disbanding. The peaceful world needs an organization that is able to decide all political problems in the world.